So, it’s happened to you, too. You’ve been bit by the birding bug. You’re not alone. An estimated 60 million Americans are watching birds right there with you. But if you’re new to the birding world, you may be wondering where to start so you can get the most from your new hobby. From equipment needs, scouting tips, and some choice phone apps, blogs, and books, we’ve got all the information you need to get you outside and birding successfully. Read on for our top 11 tips on how to get started. Please don’t go crazy with equipment if you’re a beginner. Find your sea legs first, then worry about augmenting your hobby with gear. Having said that, you will need a few essentials to get going. The first is a pair of binoculars. If you already have a pair, excellent. Don’t spring for new ones yet. If you need a pair, check out our article on How to Choose a Pair of Binoculars You’ll Love, which includes some great tips on choosing birding binoculars. You’ll also need to think about where you want to do your bird watching. If you’ll be trekking into the woods, get a sturdy pair of hiking shoes, a hat, sunscreen, a jacket, and a backpack to hold your gear. Bring a field guide along (see step #7) or keep your favorite app handy (see step #9). Once you’re more seasoned, you can start considering extras like a binocular harness, spotting scope, tripod, recording equipment, or any other device that will help you geek out. You’ve probably heard the adage, “everything in life is about location, location, location.” This is true with bird watching, too. Before you get started, you’ll need to consider the biology of your environment and what you can expect to see there. If you need to travel to see decent bird life, do some research on a few spots that are known for abundant sightings. Travelling for your hobby can be extremely rewarding. Check out our article on the 10 Best Birding Places to Experience Before You Die for some locations to work your way up to. If travelling isn’t in the cards, don’t worry. You can set up a great backyard bird sanctuary to draw the birds straight to you. Put out plenty of food varieties, attach bird houses to your trees, get some moving water (a fountain will work, too), and make sure you have some diverse trees and foliage. The birds will come flocking to your yard in no time. For the best food, we recommend Prairie Melody (TM) Premium Black Oil Sunflower Bird Seed. It’s a little pricier than your average food, but it’s pesticide-free to protect your birds. Birds are also suckers for the sweet taste of millet. We recommend Wild Wings Organic Gray Millet Seed. Another pre-birding item on the checklist is learning about your local bird species. Obviously, you don’t want to go scouting for blue macaws in the volcanic highlands of New Mexico or try to stake out kiwi birds in the mountains of Argentina. Check out Audubon.org to discover what’s living near you or search for your local Game and Fish department for more information. Also check out steps #7 and #9 for some great books and apps. You can also connect with other birders in your area to discover the best places to spot the rarest species (see step #11). Once you know what you’re looking for, checking them off your list will be much more exciting. Much like us humans, birds are creatures of habit. If you want to make the most of your birding excursions, you’ll need to familiarize yourself with their natural cycles. Most birds are more active during sunrise and sunset. They also have different migratory and activity patterns depending on the season. Check out our article on The Best Time for Bird Watching to help you learn when to seek them out. With more than 800 bird species in North America alone, identifying a single species can be tricky. Fortunately, you can use the following tricks to help you identify what you’re looking at. It may be handy to keep a notebook with you while you’re birding, so if you stumble upon an unidentifiable species, you can take note of the following features and do some research later. If possible, take a photograph of the bird, too, so you can see it clearly when you’re searching. Once you have your details, you can use a field guide to help you make an identification (see step #7). Size and Shape. Note the bird’s size relative to another object, for example, “fist-sized” or “softball-sized.” Consider its head and beak, wings, tail, feet, and any other physical features. Color. Be specific here. Noting that it’s “brown and black” won’t help you much later. Recognize the color of the throat, the head, the wings, and the tail. Habitat. This one should come easy. Where are you? If you’re in a copse of aspen trees, write that down. If the bird is foraging in a parking lot, write that. But also consider the temperature, time of day, and type of foliage or insects nearby. Behavior. How does the bird move? How does it feed? Is it fast or slow? What does its song sound like? Does it stick to the treetops or busy itself on the ground? Any small detail you notice can help you identify it. While they can be cumbersome to lug around when you’re out birding, a good field guide can be a perfect way to identify birds, discover which species live in your area, and learn more about bird behavior. The book world is rife with bird guides, but we recommend the following 3 books, each of which offers a great glimpse into the world of birding. 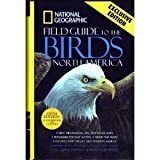 National Geographic Field Guide to the Birds of North America, 7th Edition. It’s hard to go wrong with National Geographic. This definitive field guide is packed with beautiful hand-painted illustrations, maps, and detailed information on every bird species in North America. National Audubon Society Field Guide to North American Birds. This one is broken down by regions, so depending on where you live, you’ll need a different book. If you’re in the market, search for the titles that include “Western Region,” “Eastern Region,” etc. Audubon provides one of the most definitive and best-selling guides on the market, with everything you need to know about birds. It even includes some info on birdwatching. Publisher: National Geographic, Washington, DC. 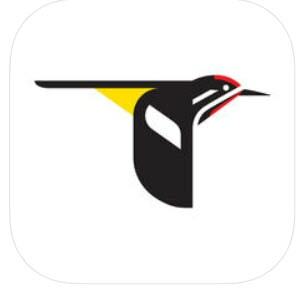 Smart phones are a birder’s dream come true. Having the ability to record video, audio clips, and snap photographs all in one device can come in very handy. It’s essential that you bring some form of device along to get the most from your birding excursions. If you want to take things a step further, digiscoping is a practice in which you mount a camera or smart phone to binoculars or a spotting scope to take magnified digital images. For more information, check out our article on How to Photograph Birds. 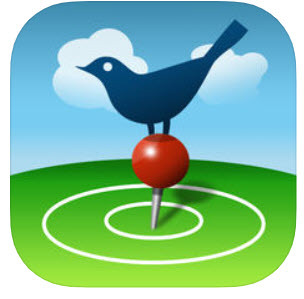 The app market is brimming with options for birders. Having quick access to an encyclopedia of birds can be a boon when you’re out in the woods with your hands full. We’ve chosen our top three birding apps below to help you get the most out of your hobby. 1. Merlin Bird ID by Cornell Lab. It’s jam-packed with information. 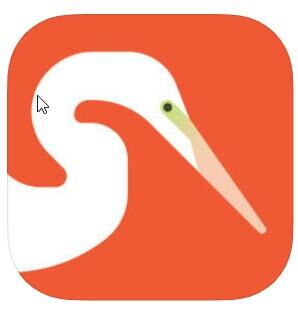 It has a feature to identify any bird by photo or description. It has packs available for specific regions of the world. It has sounds and pictures. And it’s FREE. Need we say more? 2. Audubon Bird Guide. Anything Audubon puts out is sure to be high quality. The same is true for their birding app, which has more of a social-media feel, but is still loaded with information, photos, and sounds. 3. Birder. This one has a social media tilt to it as well, but it’s also a great way to log birds you see (almost like bird bingo!). You can share your sightings with the Birder community, identify birds, take quizzes, and keep track of your goals. Find a few top blogs that you love and start following them or sign up for their newsletters. Having that extra boost of information can enhance your hobby and your enthusiasm. You’ll get tips, tricks, equipment recommendations, and more, depending on where you go. You might even pick up some new ideas to incorporate into your own excursions. Check our article on The 20 Best Birding Blogs of 2019 to help you navigate the world of birding blogs. The most important part of any hobby is building community. This is where you get the chance to get with other birders, learn new tricks, find birding hotspots, and share your own knowledge with others. Do some digging online for a local birding group, check out a local birding store, or visit the American Birding Association online for links to birding organizations in your state. You can also search out birding hotspots in your area to find other birders or try volunteering for a local conservation group. Birders are everywhere. Don’t be shy. Reaching out to other hobbyists is the best way to fuel to your passion and keep your interest high. We hope this guide has given you some great jumping-off points to help you get started on your new hobby. The world of birding is rich and fulfilling, and before long you’ll be carving your own niche. Don’t be afraid to explore, challenge yourself, learn more about birds, and geek out about the latest equipment. It will only help you love your new hobby more. The most important thing is to have fun while you’re doing it!